Brother Andrew and Janssen, Al. Secret Believers. Grand Rapids, MI. Revell Books, 2007. Garrison, David. A Wind in the House of Islam. Monument, CO. WIGTake Resources, 2014. Garrison, David. Church Planting Movements: How God is Redeeming a Lost World. Midlothian, VA. WIGTake Resources, 2004. Greeson, Kevin. The Camel. Arkadelphia, AR. WIGTake Resources, 2007. Ripken, Nik. 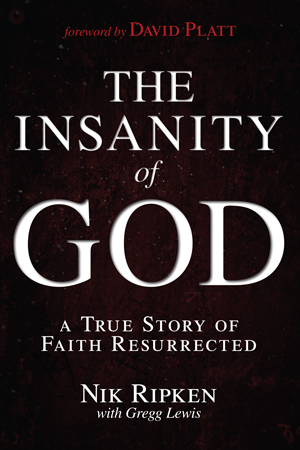 The Insanity of God: A True Story of Faith Resurrected. Nashville: TN. B&H Publishing, 2013. Ripken, Nik. 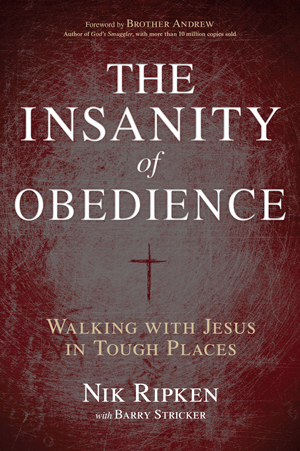 The Insanity of Obedience: Walking With Jesus in Tough Places. Nashville, TN. B&H Publishing, 2014. Shipman, Mike. Any-3: Anyone, Anywhere, Any Time. Monument, CO. WIGTake Resources, 2013. Swartley, Keith E., editor. Encountering the World of Islam. Littleton, CO. Authentic, 2005. Read an excerpt from The Insanity of God.